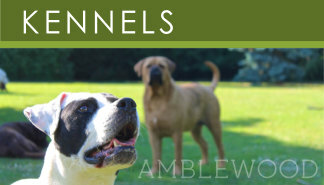 only a stone's throw from Peterborough"
make Amblewood special and unique"
is so well looked after"
Amblewood Kennels and Cattery is nestled in 4 acres of peaceful, landscaped gardens in wide open countryside just minutes from the centre of Peterborough. We offer exceptional dog kennels and cat chalets with guaranteed exercise and individual attention. The quiet atmosphere and relaxing, rural setting, is the perfect retreat for your dogs and cats whilst you are away. Whether it is for a one night visit or a long stay, rest assured your pet will be safe, secure and happy in the hands of the friendly team at Amblewood. 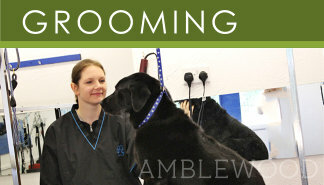 As well as our luxury dog boarding and cattery, Amblewood offers a professional dog grooming service for all breeds big and small. Many owners book their dogs in for bathing and/or grooming on the day of departure from the kennels for a very reasonable extra charge. 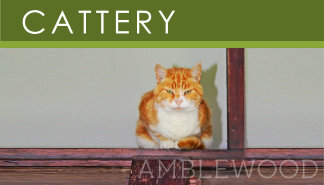 Amblewood is a beautiful place where cat and dog owners come from afar to board their pets. We have a wide variety of animal food in stock, we even cook fresh meat, chicken, fish and rice for pets who may need it. Please enquire about your preference for your dog or cat’s diet when you book. We encourage owners to visit us, just 5 minutes off the Peterborough Parkway for a look around. Please get in touch by filling in the form on our Contact Page or calling 01733 222381. Our OPENING HOURS are Mon-Sat 8.30am-10am Collections, 10am-5pm Arrivals. We close for lunch 1pm-2pm. Closed All Day Sunday.